YEY….!! YEY!!!….. I have done it. After missing last time’s sew it, due to my lap top problems, When I got my back my laptop I was eagerly waiting for this week’s sew it feature. 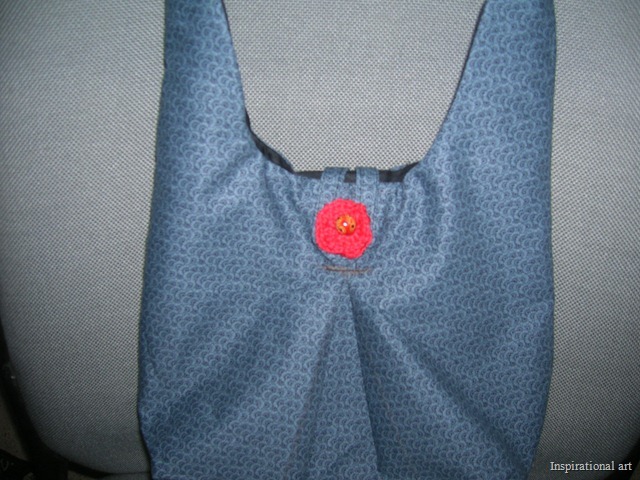 This time Mayya had featured a lovely bag, and I desperately wanted to make this one. But with my limited sewing skills, I was confused at some places Thanks Mayya, your forum and motivation really helped me. 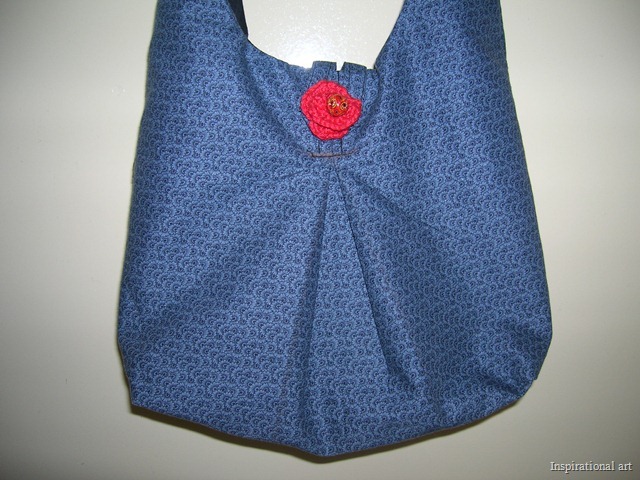 This tutorial in from The Margaret Bag by Elizabeth from Oh Fransson. I din’t have any flannel with me neither did I have a soft fusible interfacing, and to be very honest I was hesitant to use my cherished materials since I was worried how it would turn out. 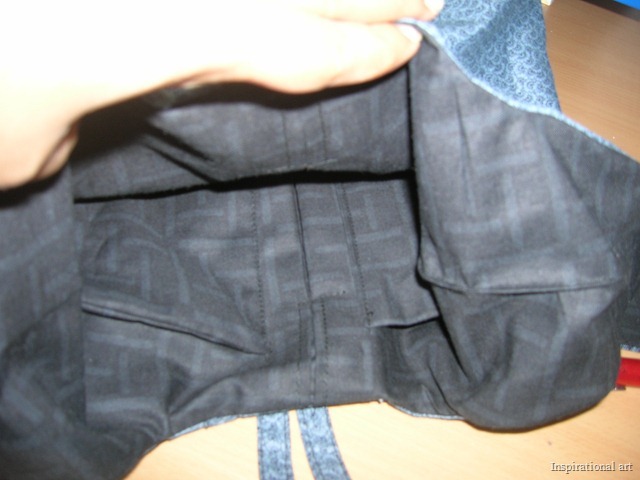 So I have just used a simple grey cotton cloth for the main body and the lining is a black cotton material, and since I had a stiff interfacing with me, I ironed on the stiff interfacing only at the base of the bag on the main material. The button is a small crochet motif that I had made with a bead attached to it. But now I am confident, and I will surely make one with some bright color material and this time I will definitely add a fusible fleece. Thanks Mayya once again for all your support. I am waiting to see what others have done. 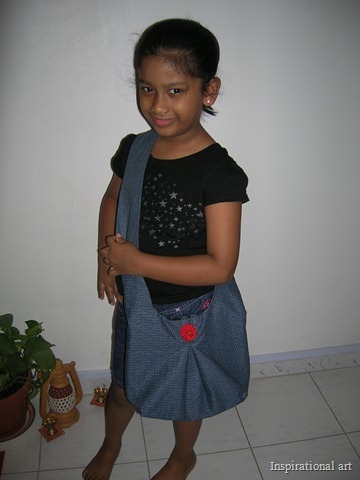 And eagerly waiting for your next Sew it feature Mayya. Till then its bye from Preeta. Thanks Zura for that encouragement, I know there is a lot more to be done on that bag , and the next one I make will surely be perfect. I am so proud of you for not giving up and finishing it! It looks great, but i think with this type of material it would need the fusible interfacing to give it some shape! 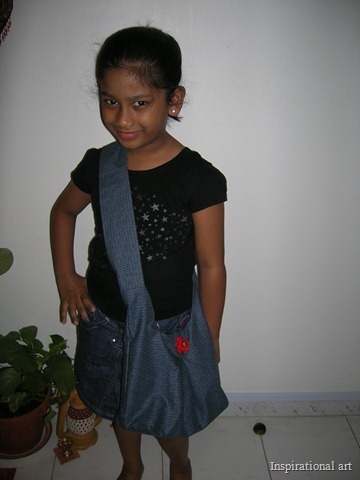 Thanks a lot Mayya, Next time I will use fusible interfacing, I really want to make a nice one,now that I am confident. oh…this looks awesome preeta….beautiful finishing. i can’t wait to see it….wow…the crochet floral button looks cute. Thanx Nima, I did have a challenging time making it, but I dint want to give up. Missing u around.